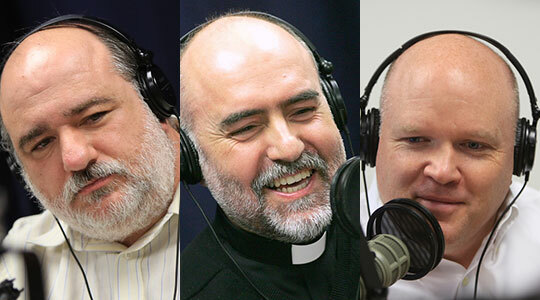 Summary of today’s show: Redemptoris Mater Seminary, one of the Archdiocese of Boston’s three seminaries and the newest, will be holding its fourth annual gala dinner on June 16 and honoring Archbishop Carlo Maria Viganò, Apostolic Nuncio of Pope Francis to the United States. Scot Landry talks with Fr. Tony Medeiros, rector of the seminary, and Antonio Enrique about the dinner and the honor of having the apostolic nuncio, who is both the Pope’s ambassador to the United States, but also his representative to the Church in the US through whom all appointments of bishops flow, come to speak at the dinner. They also discuss the purpose of the dinner, to support the fast-growing seminary and its increasing numbers of seminarians that are causing it to outgrow its current facility. For more information about the seminary and the dinner, visit the link here. The dinner will take place on June 16 at the Four Points Sheraton in Norwood.